Get mixing with finesse with the Atocha DJ Stand, handcrafted in the USA from solid birch, maple hardwood and American black walnut. 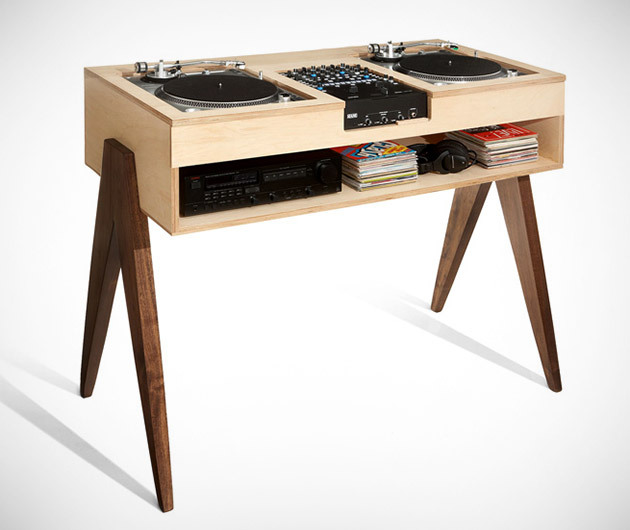 It features the classic "battle style" stance with room for two turntables and a mixer and the shelf provides ample room for your headphones, LPs and partying paraphernalia. Space for a laptop stand, also.